When it comes to wildlife watching in Yellowstone National Park, timing, location, and a little luck all come into play. But it also helps to be in the company of someone who knows where to look. 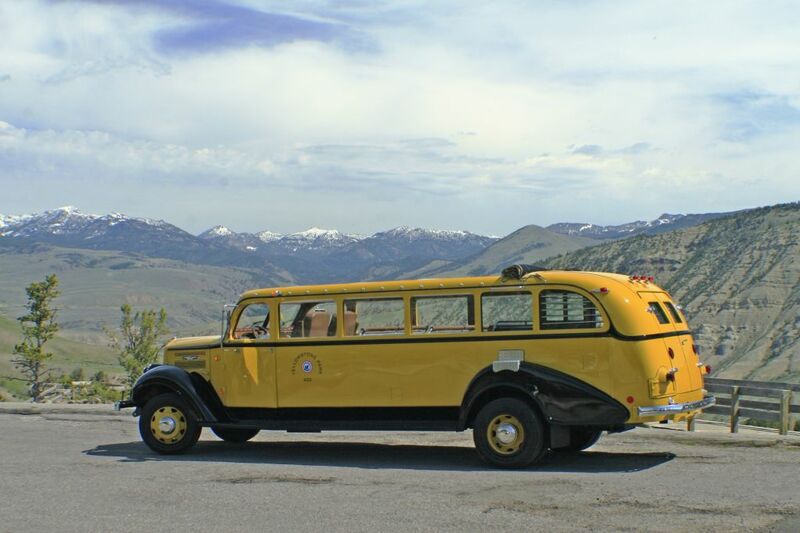 “My goal is to have a three-dog day — coyote, wolf, and fox,“ Karoline Sleichter announces as she slides behind the wheel of one of the park’s 1937 yellow touring buses. Sleichter is leading a Wake Up to Wildlife tour, and despite the early hour — 6:30 a.m. — she is upbeat about prospective sightings as her passengers climb into a classic 13-passenger bus. The restored vehicle boasts a new chassis and modern engine, but it retains its original panoramic roll-down windows, high-riding seats, and roof that can be retracted on warm, sunny days. Even before the vehicle exits Mammoth Hot Springs, Sleichter hits the brakes and directs attention to a female elk guiding its baby up a hill. Minutes later, there’s another animal sighting. “Coyote at nine o’clock!” she says. Heads turn in unison to the left. “Oohs” and “aahs” follow. The vehicle is bound for the Lamar Valley, a wildlife-rich area in the park’s northeast corner. The region’s wide, open spaces make it a prime spot for viewing animals. Bison are particularly plentiful here, spurring a heads-up from Sleichter. Wolves and Bears and Moose, oh my! There are, indeed. But other large mammals, notably bear and moose, are high on visitors’ wish lists, too. 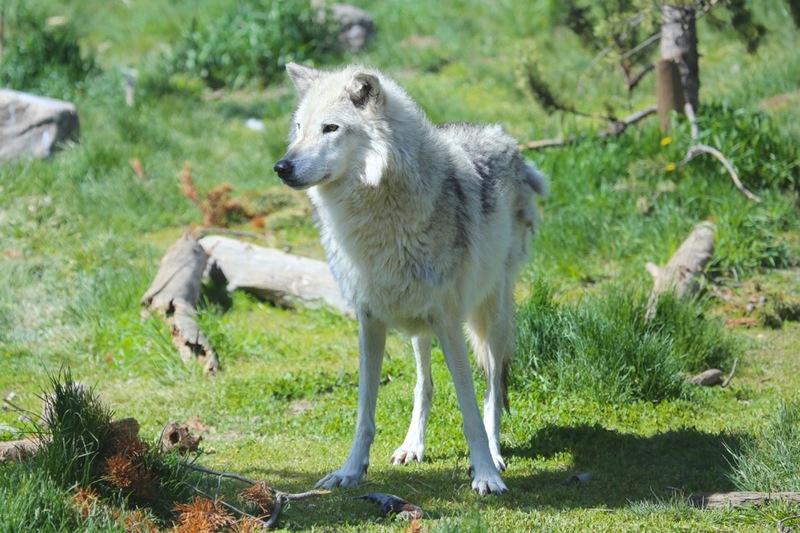 Wolves, which were reintroduced into Yellowstone in 1995 after a 70-year absence, are a huge draw, too. And Sleichter knows where to look for them. “Our priority is to go to this wolf den to see if we can see anything. It’s supposed to have five pups in it,” she says, pulling off to the side of the road, where a cadre of serious wildlife watchers is peering through high-powered spotting scopes. If the wolves are home, they’re not making it known. The bison herds are more transparent, however. After all, where could these massive beasts hide, even if they wanted to? In late spring, the “red dogs” — bison babies — look like orange specks next to the adults. The bus moves out of the valley, climbing into spruce and fir forests. In the distance, the mountains still snowcapped in late spring, create an epic backdrop. Sleichter pulls over at a cliff-side spot where mountain goats are known to dwell. Trying to spot them from afar is a “Where’s Waldo?” exercise, but it doesn’t take long for Sleichter’s trained eye to zero in on a mother and baby, their dainty hooves moving deftly over the rocky terrain. There are two basic approaches to wildlife watching in the park. One is to drive until you see a clot of cars pulled over to the side of the road — a sure sign there’s something to see. Or, you can find a pullout, get out of the car, linger, and look. That’s what Chuck Snover does. A seasonal volunteer for the nonprofit Yellowstone Forever, which works to help preserve the park, he also has a panoramic view from his perch in the organization’s shop in Gardiner, Mont., at the park’s northern entrance. “There’s wildlife all over the park. But here in the north, it’s open country so you can see the animals. They call it the Serengeti of the U.S.,” he says. Jess Haas, program director for Yellowstone Forever Institute, takes a similar wait-and-see approach to wildlife viewing. “No matter what kind of day you’re having, a great wildlife sighting makes it better. It doesn’t matter what kind of animal it is — a bear, a bison, a wolf — it just lifts your spirits,” she says. On the return trip to Mammoth Hot Springs, Sleichter tallies the day’s sightings. And, of course, countless bison, plus birdlife including osprey, red-tailed hawks, and mallard ducks. Not a bad start to another glorious day in America’s oldest national park. Dawn is the best time to search for wild animals. 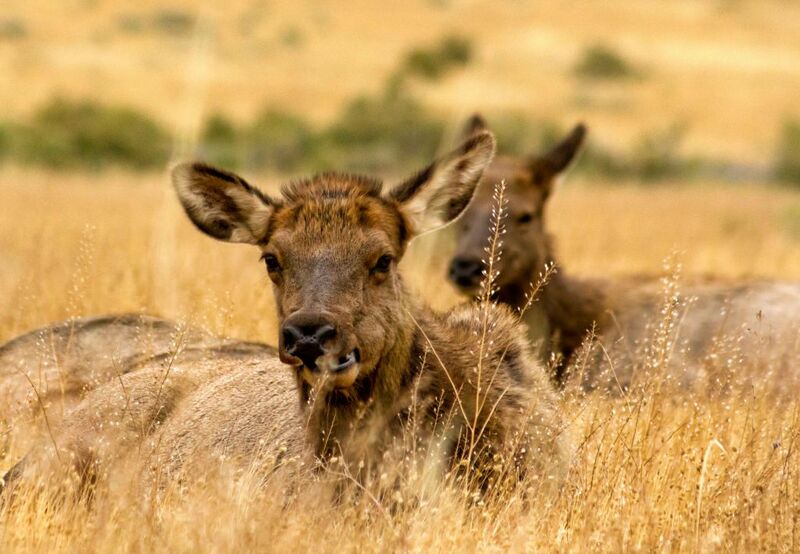 Wakeup to Wildlife tours leave Mammoth Hot Springs Hotel, Canyon Lodge, or Roosevelt Lodge bright and early and head for Lamar Valley from late May to late September.